The structural design has proven itself for a long time, now the optical design was slightly redone. 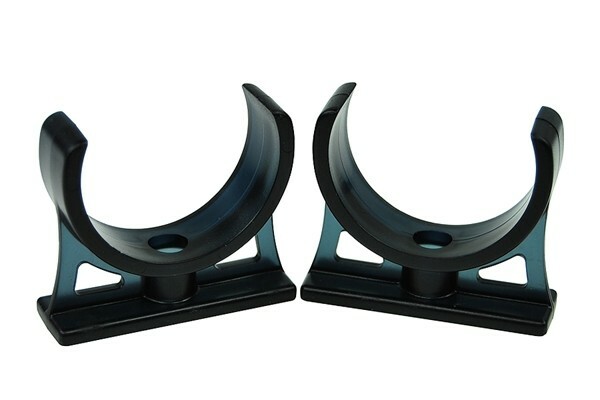 These mounts are perfect for the Alphacool Cape Coolplex, both in regard to looks and fit. Be it the fact that the mount retains its holding strength even after many times of inserting and unclipping the reservoir or the safe mounting, years of experience in the water cooling sector have made these mounting clips perfect for use in a computer water cooling system. Please note: For mounting additional screws are required. We recommend ordering Item No. 46023.